Legit Flex Job Review – Scam Academy or Legit Opportunity To Make Money Online? This morning whilst I was looking for new legitimate opportunities to share with my readers I happened to come across a website named Legit Flex Job (found at legitflexjob.com) & it caught my eye because it claims to be a company paying fixed rates to homeworkers who are willing to fill out simple worksheets. So I’ve decided to take a closer look at this company to find out what it’s really about because the promise of super high pay-rates for such simple tasks raises a red flag & I suspect that it’s probably nothing more than a scam. Therefore if you’ve also come across Legit Flex Job & you too have been wondering what it’s all about then you can rest assured that you’ve landed in the right place to find out. In this Legit Flex Job review I’ll be uncovering everything you need to know & finding out once & for all if it’s actually legit or just another scam. What Is Legit Flex Job? 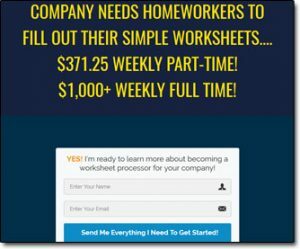 At a glance Legit Flex Job sounds like a dream come true as the website claims you can simply sign up & begin earning in excess of $371.25 per week just by completing “simple worksheets” online. Well to me it sounds rather much like a traditional data entry job, only a traditional data entry job pays much much less… In fact you’d typically be lucky to earn around $20 per week with data entry alone. So as opposed to sounding great I personally think it sounds suspicious – especially when it turns out that you have to pay money to get access to this so-called online worksheet processor job. And when it comes to things like this my suspicions are usually right as I’ve exposed literally hundreds of scams over the years such as the One Click Pay Day & Secure Home Job Position systems which both share common traits with this Legit Flex Job system. The truth is that unfortunately Legit Flex Job Academy isn’t actually legit – in fact in my opinion the Legit Flex Job Academy scam rumors are indeed true because it’s clear this website is set out to do nothing other than part you with your cash. After entering your name & email on the main page you’re then taken to another page where the sales pitch begins. On this page you’re told that the company is so desperate for homeworkers that you can literally sign up & start earning the very same day. And whilst they don’t go into too much detail about the work itself one thing they do is keep stressing that it’s very easy. You’re led to believe that after signing up you’ll be doing nothing more than copying & pasting to earn money, only in reality this couldn’t be further from the truth as I’ll show you in a moment. Then once you hit the bottom of the page after scrolling past all the people flashing their cheques (which are fake by the way) you’ll find yourself hit with the “special one-time registration fee” of $37. So this company, who is so desperate for you to help them & willing to pay you ridiculous amounts to do so, wants to charge you to register?? It just doesn’t add up right? Then, if you try & exit the page they stress even more that they REALLY need your help… but despite this they’re still not willing to let you in for free – nope, instead they just claim they’ll let you in for $29.60 instead (20% off). Basically the information on the Legit Flex Job Academy website is complete nonsense that’s been put together with the simple intent of getting you to hit the purchase button & part you with your cash. After buying into the system you’ll find that you’ve been fed a total pack of lies as you’re not given access to any online worksheet processor jobs whatsoever & nor is there any guaranteed payment of $371.25 per week as you were promised in return for your time. Instead you’re actually just sent some training on how to buy products from Amazon & sell them for profit on eBay which is essentially a form of dropshipping – something that has absolutely nothing to do with data entry jobs. The training course consists of 14 lessons & don’t me wrong you can potentially make money with dropshipping but the point is that you’ve been totally mis-sold by this system & been given something that’s totally different to what you were buying into. It’s clear that the creator of this system doesn’t really care about you or your success & is only really interested in getting you to hit that purchase button. If you’ve happened to buy into Legit Flex Job Academy already then there is one small upside & that’s the fact that it’s being sold through ClickBank, which is a digital marketplace that has a good reputation for giving people their money back. This means that if you’ve bought it & found yourself disappointed with what you received (which I’m sure you will be) then there should be quite a strong chance that you’ll be able to get your money back. Conclusion – Is Legit Flex Job Academy a Scam? In my opinion Legit Flex Job Academy is a scam because you’re sold on a pack of lies & what you receive is not what you purchased. You also wont see any of the earnings you were promised either. Whilst you can technically make money through dropshipping the methods you’re taught by Legit Flex Job Academy are outdated & not very effective. I therefore believe that even if you decided to stick with the dropshipping product & try your hand at that instead that you’d still struggle to make any money. My advice to you would be to avoid Legit Flex Job Academy altogether, or if you’ve already bought into it contact ClickBank directly & ask them to arrange a refund because it’s definitely not worth the money. If you’re looking for a legitimate way to make money online then forget dropshipping, forget online worksheet processor jobs & try this instead. That’s my number #1 recommendation for anybody looking to get started & it’s the same free program that helped me personally to build a full-time income online. 12 Day Millionaire Scam – This Review Exposes It! Cash In On That Passion – Scam or Legit? My Review Exposes This Fake Program! 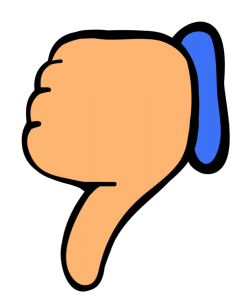 2 Responses to "Legit Flex Job Review – Scam Academy or Legit Opportunity To Make Money Online?"